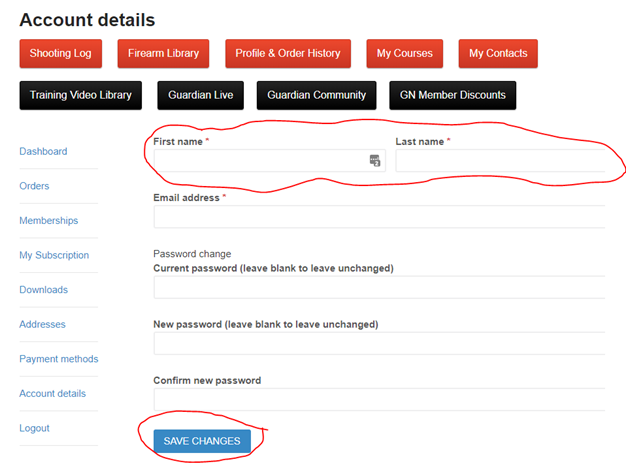 If you complete your online course on our site and find that your completion certificate displays your username you can change it to have your correct and full name. 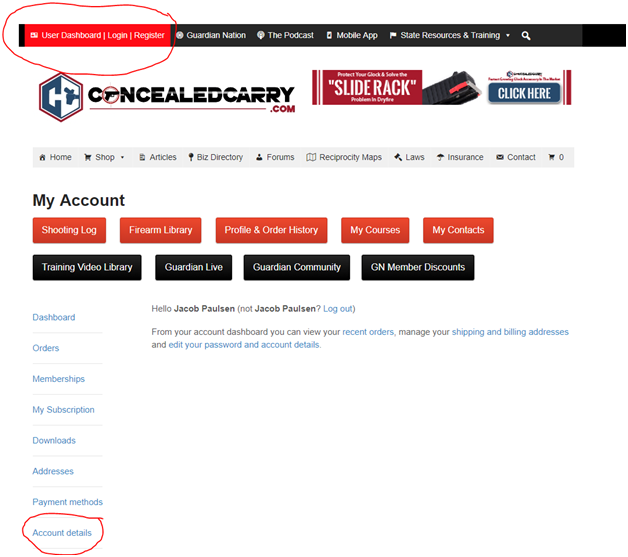 Click on the “Account Details” link on the left-hand side (as highlighted above). Then update your first and last name and click “Save Changes” as you see in the below image. That will do it. Return to your course and View your certificate and it will now reflect your full and correct name.